Second prize of $2000 went to Dunedin artist Becky Donovan and third prize of $1000 was won by Karin Clayden, who works from Alpha Art Studio and Gallery in Wellington. For the first time the top three prizes went to an all-female line-up of artists. Jo-Anne draws and paints but she prefers to do embroidery on fabric using wool. She will draw an outline on the fabric with her finger, and a tutor will follow her lead with a pen, marking the outline on the fabric. She then asks the tutor to thread the needle and then it’s all over to her to create the work. Gina Matchitt and Grant Corbishley, the other two Wellington-based judges, said that the diversity of the work presented a real challenge. This year six-times judge WORLD fashion director Denise L’Estrange-Corbet, stepped up to the role of Art Awards Ambassador. 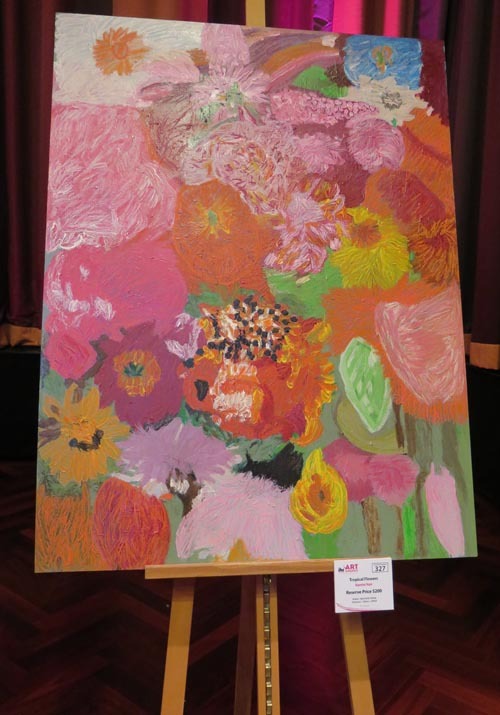 Denise has long described the IHC Art Awards as one of the highlights of her year. 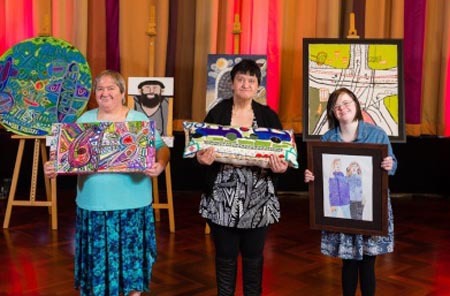 The top three prize-winners were picked out of 30 finalists nationwide and announced at the Michael Fowler Centre in Wellington on Thursday 16 June. The finalists’ work was auctioned at the event, with 100 percent of the proceeds going to the artists. Original generation time 1.3515 seconds. Cache Loaded in: 0.0341 seconds.